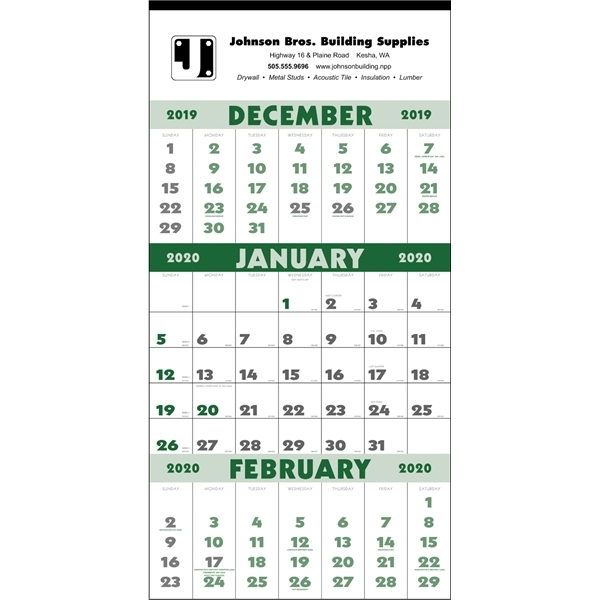 3-Month Planner 2020 Calendar - 12-Sheet. Glance at all three months with the current month having memo blocks and the before and after months shown as a reference. This planner is useful and impressive. Grid green matches 349 green. The center grid includes Julian dates. Top markets: retail, manufacturing, construction. Material: 60# offset. Product Size: 13"w x 25"h.
Size: 13 " x 25 "